If you are trying to choose the first RC plane for a child you know, then you should keep a few things in mind so that you will be able to pick the best rc plane for a person’s experience level. The RC experience level of the person who is going to be flying the plane is the first and foremost consideration. 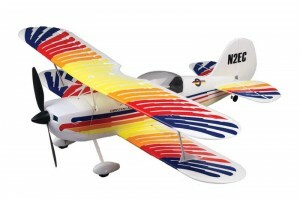 People may often be tempted to buy a flashy RC plane with a lot of visual appeal. However, such an item generally may not be the best RC plane for a beginner because RC planes differ greatly from RC cars. An RC plane is harder to control, and the risk of crashes is much greater. Other circumstances of the person who will be flying the plane should also be considered. If this person intends to join a flying club or even have an experienced pilot teaching him or her, then the best RC plane that such a person can learn with is a trainer, which tends to be constructed from balsa and can be electric or nitro powered. For people who do not have access to flying clubs or a private property with a good open area for flying, the right RC plane is probably a park flyer. Park flyers are small and durable electric-powered airplanes that come with everything you will need already in the box. After charging the batteries, you will be ready to fly the plane at a park or a parking lot. Another factor to consider in getting the best RC plane for you or someone you know is the plane’s repairability as well as its parts availability. Because the risk of crashing the plane may be high, having an RC model that you can easily and affordably repair is very important and can spare you some heartache. Besides, being able to replace parts on your own would give you quite a sense of accomplishment. 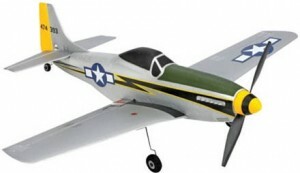 When looking for the best RC plane for beginners, you also need to consider whether a flight simulator is available. A reliable training guide that can accompany the new RC plane could make a huge difference in giving a newcomer the most enjoyable introductory experience of RC flying, to make it much more likely that he or she will look forward to more hours of fun in the future. Like many other things in life, doing the relevant research leads you to make the right decisions about the best RC plane. You shouldn’t neglect to compare various plane models before you settle on one of them.